﻿ Runescape Coming To Mobile! We know that many of you are looking at our Old School Runescape and Runescape sections. But, today we are talking about taking Runescape on the go with you as it has been confirmed that Runescape is going mobile! This is huge news and something we did see coming. But the extent of Runescape mobile is what has blown us away. This is no half assed version of Runescape or Runescape matching three things in a row! This is a full on Runescape client. So, in other words, you can be having a good session of Runescape on the computer and then continue it on your smartphone or tablet. That is really cool, but the other really exciting piece of news was that it is not just Runescape that is coming to mobile. Old School Runescape is getting its own client as well! This means all Runescape players are going to be kept happy as they can take Runescape on the go. 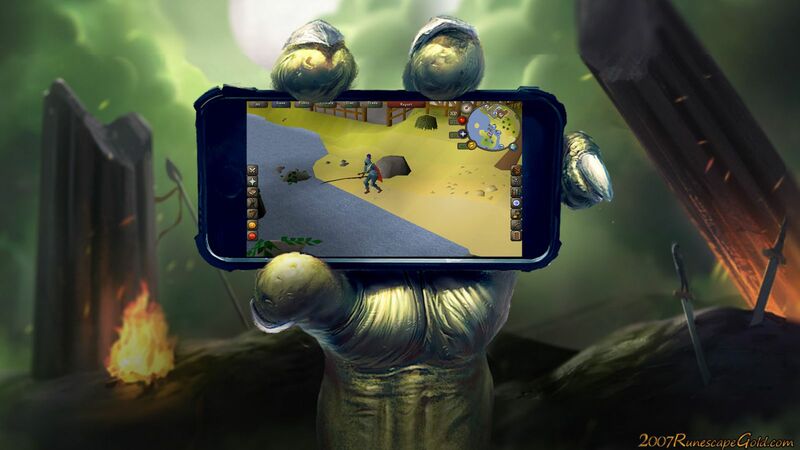 While no exact dates have been given just yet, Jagex intends for the mobile version of Old School Runescape to be released later in 2017 and "modern" Runescape will be released at some point in 2018. We are very happy that they are just releasing the full version of each game rather than trying to make a new mobile version. Being able to play a little Runescape while at work, school or even when you are sat waiting in the car for someone is huge! We are very happy with this news and as always we would love to hear you guys thoughts on Runescape coming to mobile.